ClearCorrect invisible braces are the clear and simple way to straighten your teeth so you can show off your smile with confidence! Looking for an alternative to metal braces? 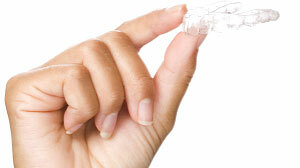 ClearCorrect is the clear and simple choice for patients of all ages. There are no wires or brackets; just clear, convenient comfort that gives you every reason to smile. 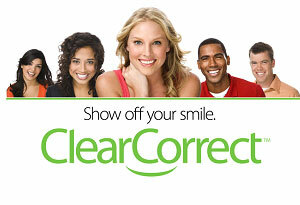 With ClearCorrect, achieving your ideal smile is easy and effortless. Plus, since your clear aligners are removable, you can take them out to brush, floss, and eat your favorite foods. 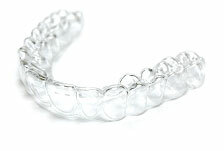 ClearCorrect fits your life and daily routine as perfectly as it fits your teeth, so you don't need to change a thing. Unlike traditional metal braces, ClearCorrect lets you show off your smile while you straighten your teeth. You'll be surprised at how quickly you forget you're wearing your ClearCorrect aligners, and they're so clear that no one else will notice you're wearing them either! After you and your doctor decide that ClearCorrect is the right treatment option to fit your unique goals and needs, you'll send your records, X-rays, and impressions to ClearCorrect. Next, working with your doctor every step of the way, ClearCorrect maps out a customized treatment plan of gradual adjustments that take your teeth from where they are currently to where you want them to be. You'll wear each set of aligners for a specific amount of time as your teeth gently adjust and align to your ideal smile. You'll visit your doctor periodically for checkups to monitor your progress until you eventually have the straight smile you've always wanted.